On the other side of the lake on which I live, up a side road on the top of a hill overlooking the lake sits The Warsaw Township Hall. This is where I vote. 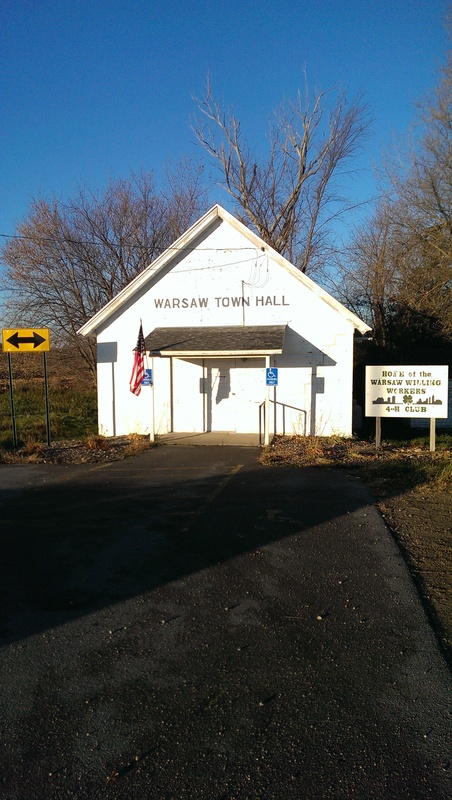 Warsaw Township is in Rice County in Southern Minnesota. Rice County is named after Henry Rice who was Minnesota’s first senator in 1857. Warsaw Township, which contains the town of Warsaw is 35 square miles and in the year 2000 had a population of 1433. The per capita income at that time was $22,119. Not a large, wealthy place but an average slice of America. My wife and I went to vote at 8:00 a.m. and there where about 12 cars in front of the building. 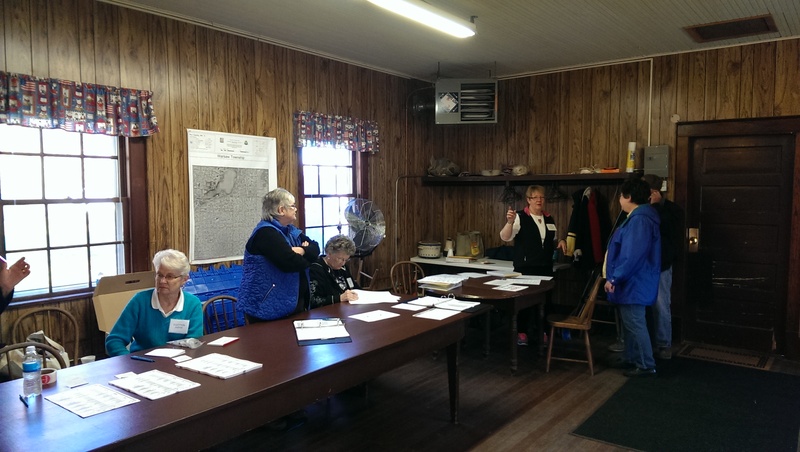 These fine folks at the township hall were all very friendly and helpful. The voting process was easy, as it always is. Unfortunately I know people who don’t vote. I don’t understand why some people don’t want to take an active part in their country’s government. “Of the people, by the people and for the people.” We have freedoms here that a lot of others do not. I wish people would realize how important that is. So we voted, and tonight after the poles close I’ll be watching to see if those I voted for are winning. If you look at the state of our country today versus six years ago you can see that we have come a long way. I’d like to see us not go backward. So I hope my candidates win. Have a happy Election Day!